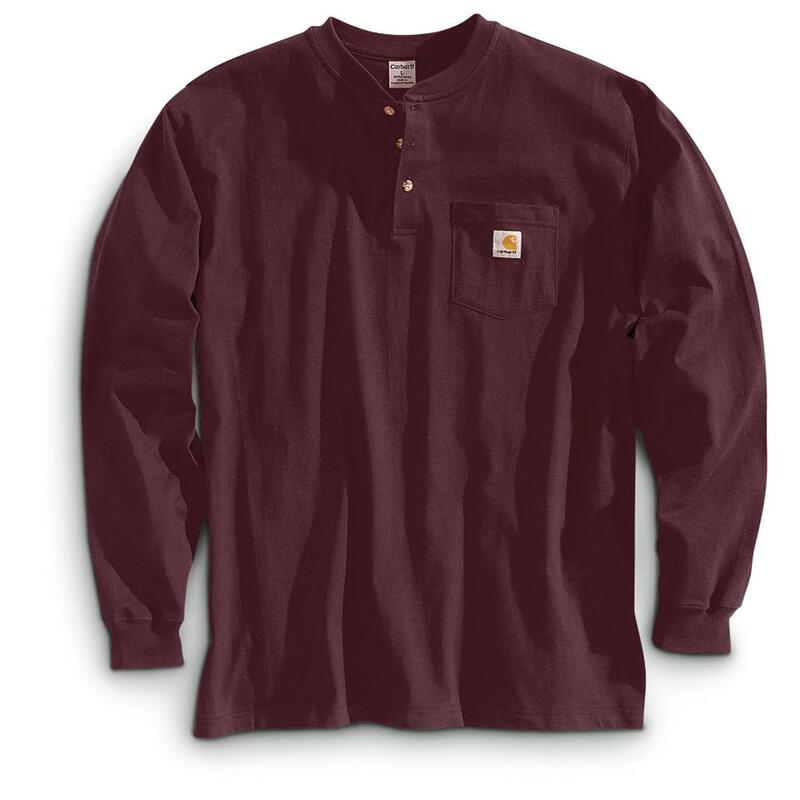 Carhartt® Long-sleeved Pocket Henley. A workday favorite no matter where your job is. If you're like most of us, you gotta go to work. 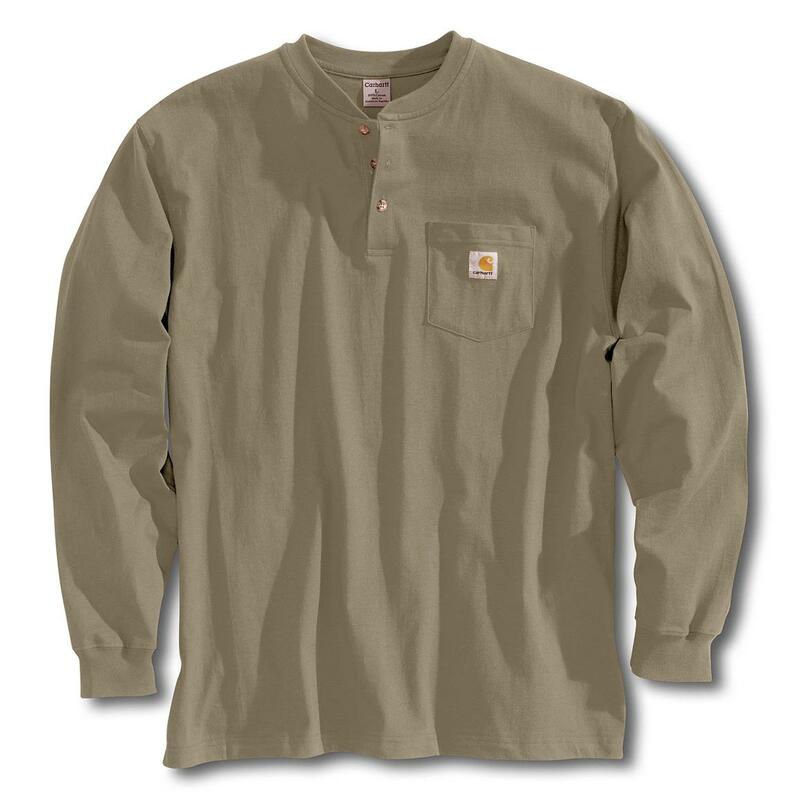 Might as well do it in durable, good-looking, comfortable Carhartt gear. 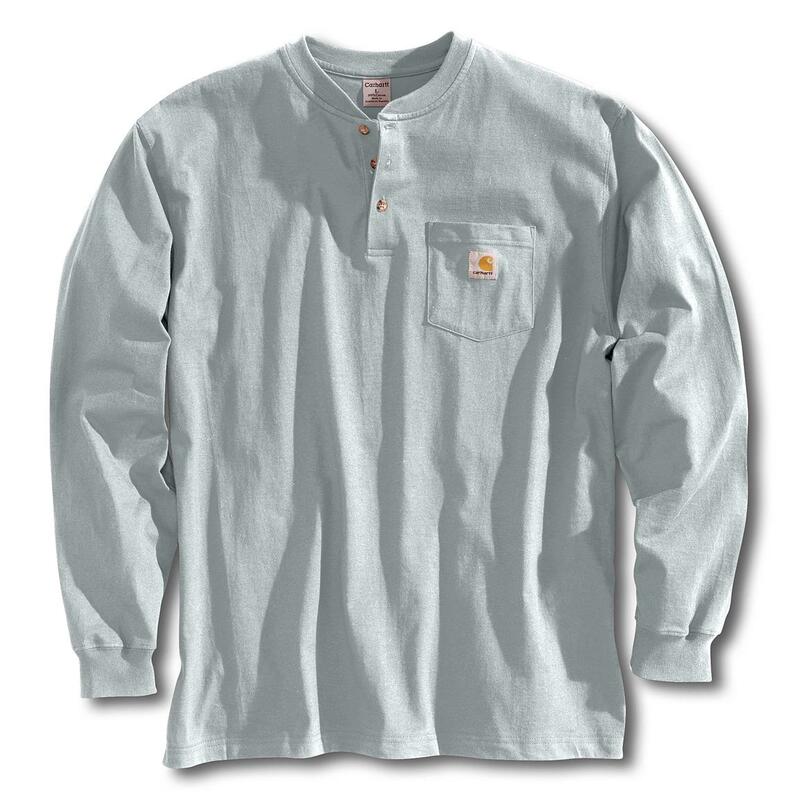 This Carhatt Long-sleeved Pocket Henley is an excellent choice for long-wearing performance at a working man's price. These shirts come in nine different color variations. Can you ever have enough decent Shirts? Order a few of these reliable ones today! 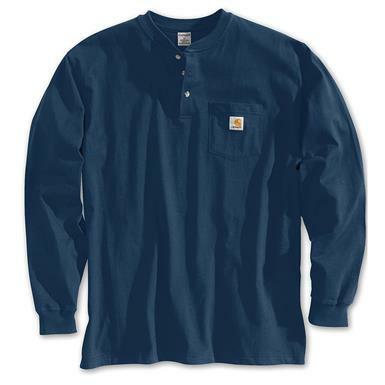 Carhartt Mens Workwear Pocket Long-Sleeve Henley Shirt is rated 4.8 out of 5 by 53. Rated 5 out of 5 by Bread or whisky from I've used these shirts for years, they work very well!! They fit very well and do not shrink when you was them. They ware well and last a long time.. 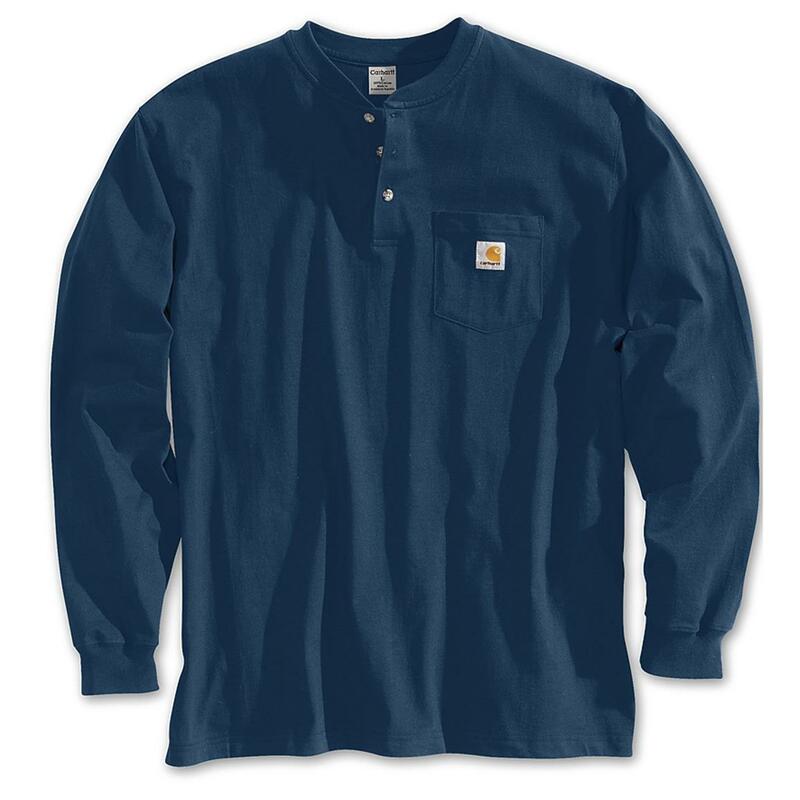 Rated 5 out of 5 by Misfit from Carhartt Henley Carhartt makes about the best Henley on the market. They run a little large, but that is good. Same for their coats. Rated 5 out of 5 by Sue6266 from Quality and price very good. Both my son and husband have long arms. The sleeves are very generous in length. I tried to buy more, but they were gone! Keep stocking them! Rated 5 out of 5 by Ben M from Carhart Henley Looked good. It was a Christmas gift to my son in law. Looking to stay cool? FREEZE RIGHT THERE.